Preparing Your Website For An SEO Expert | ASTRALCOM - Content Strategy, Conversion Marketing and Customer Acquisition. It’s the bane of every business’s digital marketing. Nevertheless, it’s a required aspect of growth because people use search engines to find the things they are looking for- even more so on mobile devices. And if you’re considering a new website design, then you’ll be glad you read this post. 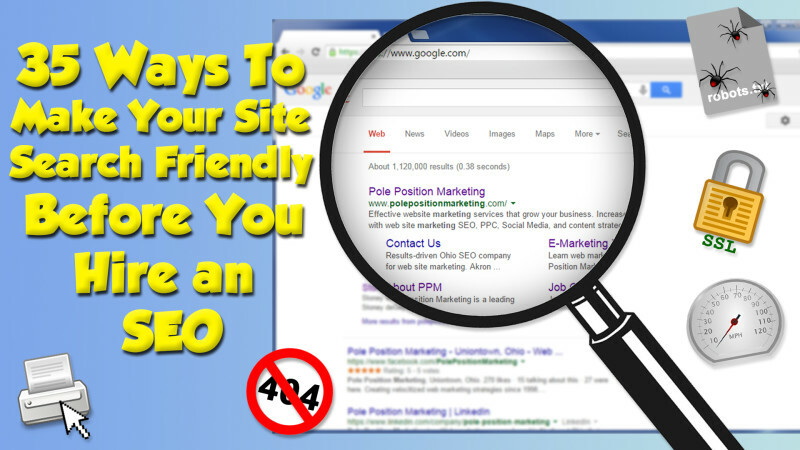 With over 200 “signals” to pay attention to, SEO is a huge undertaking. But, there are some fundamental things that you can do before enlisting the help of an SEO pro that will make your new relationship even more successful. In this Search Engine Land article, columnist Stoney deGeyter provides some of the elements of website design and development that will help make it easier for your SEO partner to optimize your website during the build process and post-launch. Read Stoney’s article and then, if you want organic search results like this, call us at 800.536.6637, or click and we’ll help you with your SEO (simply extraordinary outcomes).